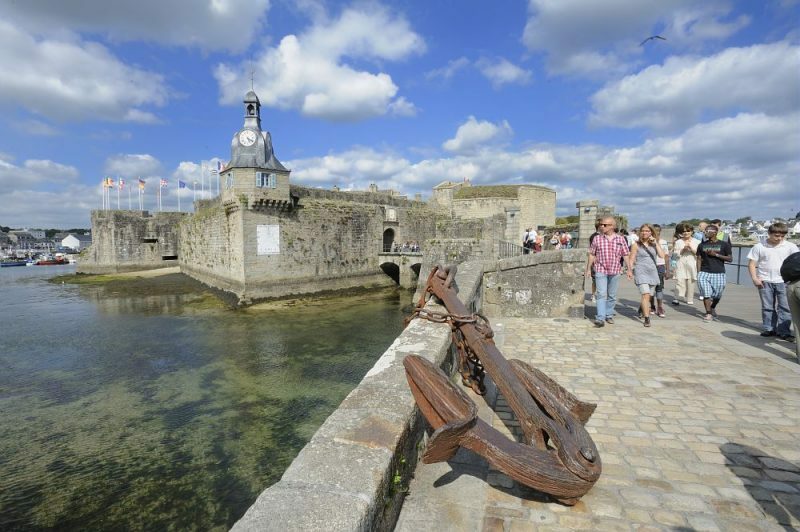 Originally built as a mediaeval settlement on a long island in the harbour of the modern town, Concarneau is pleasant a southern coastal Breton port as you could visit. For many Irish on holiday in France, it’s a place that they come across either through staying in one of the many camp sites nearby or from exploring the coast itself from further afield. Overlooking the marina, the market here is held every Friday, with over 200 participants spilling out from the covered market “Les Halles” onto the street and selling a variety of wares. Mixing both edible and non-edible produce, the area is fairly traffic choked in summer so if you’re not in time for a parking space, it might be advisable to park at Place Duquesne and get public shuttle from there to the market. The summer months sees the market open every Monday as well. Meanwhile, there’s a Marché Bio every Wednesday evening from 16:30. This is a market exclusively for organic farmers and it runs throughout the year. The main market at Les Halles de Concarneau runs from 08:00 to 13:00, with additional Wednesday market during the summer months. There is occasionally an additional market at the same location in summer from 17:00 to 19:30 (check locally). Amongst the items on sale are bread, fish, shellfish, fresh meat, cutlets, cheeses, fruit & vegetables, cut flowers and regional produce that includes fish paste, crêpes and Breton cakes.